What happens when you go over your credit card limit? Over-limit fees are a relic of a bygone era, kind of. Unless you are carrying an elusive black card in your wallet, your credit card is issued with a maximum amount that you're allowed to spend on the account. This number is known as your credit limit. Once you hit your spend limit, you'll typically need to pay the balance back down before you can use the account again. However, this wasn't always the case. Around a decade ago, card issuers frequently allowed customers to exceed their credit limits. Those who did so were charged an "over-the-limit" fee for the courtesy. The fee was typically around $25-$35 per incident, but those small fees added up to billions of dollars paid by card holders each year. Today, the CFPB reports that over-limit fees are nearly extinct. The Credit CARD Act of 2009 prohibited the once-common practice among card issuers. Per the CARD Act, credit card issuers are no longer allowed to charge over-limit fees, unless you opt in for the coverage. If you don't opt in to over-limit protection, the card issuer can't charge you the fee. However, your transaction can, and probably will, be denied. The CARD Act requires cardholders to automatically be opted out of over-limit protection by default. However, mistakes can happen. Mike Gnitecki of Longview, Texas, learned this lesson the hard way a few years ago when he inadvertently paid for a hotel stay with a card that had a smaller limit than others he owned. "I reserved it online -- it was one of those deals where you pay in advance," Gnitecki said. "I used the wrong card and wasn't aware until I checked online and saw that the charge had appeared on that one." Credit expert and attorney Stephen Lesavich confirms that card issuers who still offer over-limit protection are supposed to opt you out of it by default when you sign up. Chances are you won't notice this when you apply for a card. "It's buried in the credit card contracts that we never read," Lesavich says. Of course, some people like the idea of their card issuer approving a charge that happens to exceed the credit limit. If you're someone who wants over-limit protection and you're willing to pay for the privilege, you'll need to contact your card issuer to opt-in for the service. Post CARD Act, over-the-limit fees are a little different than they were a decade ago. When you opt in, the fees may run around $25 for the first incident and $35 for any additional over-limit fees within the next six months. However, the fee shouldn't exceed the amount you overspend. For example, go over your credit limit by $10 and that's the maximum over-limit fee you should be charged. Exceed your credit limit and your card issuer may raise your interest rate. The issuer might close your account if you repeatedly go over your limit. If you're thinking about using over-limit protection, be sure to count the cost in advance. Lesavich said over-limit protection is generally not a good option due to the fees and the potential to accrue high interest charges over time. "You're paying for something over a longer period of time and in a different set of circumstances," he said. "A $50 overcharge may end up costing you $500 in the long run." No one likes paying extra fees to a credit card issuer. Yet the worst penalty you have to worry about when you go over your credit card limit is the damage you could potentially inflict on your credit scores. Credit scoring models like FICO and VantageScore are designed to consider your credit utilization rate. This is the percentage of your available credit limits you use (according to monthly credit report updates, not your current balance). The more of your credit limits you use, the worse the impact may be on your scores. Here's a basic overview of how credit utilization works. If you have a $1,000 balance on a card with a $2,000 limit, you're using half of your available limit. This makes your utilization rate 50%. Charge that same card up to its $2,000 limit; your utilization rate increases to 100 percent. From a credit scoring perspective, high utilization is considered negative even if you keep your payments on time. With FICO credit scores, 30 percent of your score is largely based upon credit utilization. When you go over the limit, your utilization exceeds 100 percent - a bad move for your credit scores. If you find yourself routinely exceeding your credit limit (or even getting close to maxing out your card), you're constantly putting your credit scores at risk. Here are a few strategies which might help you avoid going over your credit limit. Install apps on your phone so you can easily monitor your credit card balances. Ask to split larger purchases across multiple cards, if needed, to stay under limit. Sign up for mobile alerts from your card issuer so you'll be informed when you're nearing the credit limit on an account. Request a credit limit increase from your card issuer. Of course, the most effective way to avoid going over the limit is to make a plan to pay down your credit card debt. Overhauling your budget, cutting unnecessary spending and creating an emergency funds can go a long way toward helping you avoid over-the-limit problems as well. 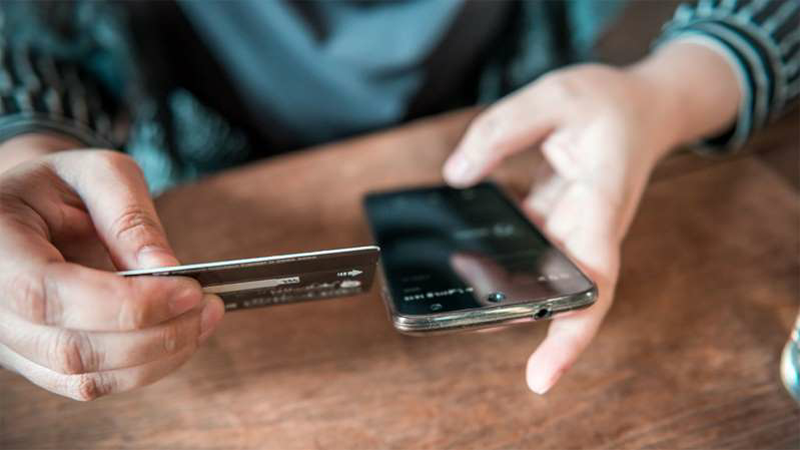 Finance Magazine: What happens when you go over your credit card limit?